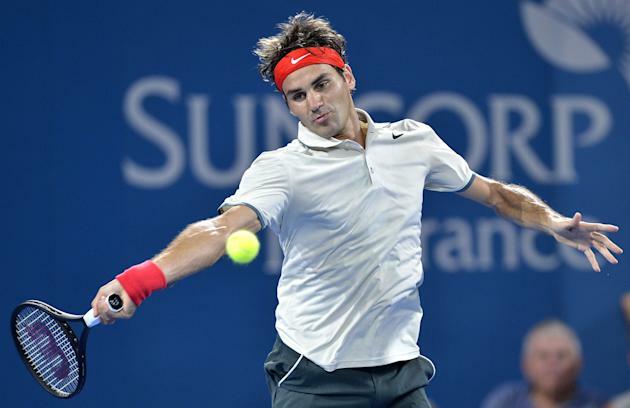 Roger Federer playing his 1st singles match at Brisbane showed glimpse of why he is rated as one of the all time greats as he defeated Jarkko Nieminen 6-4, 6-2 in 1 hour & 8 minutes to reach the Quarter-finals of Brisbane International, 2014. 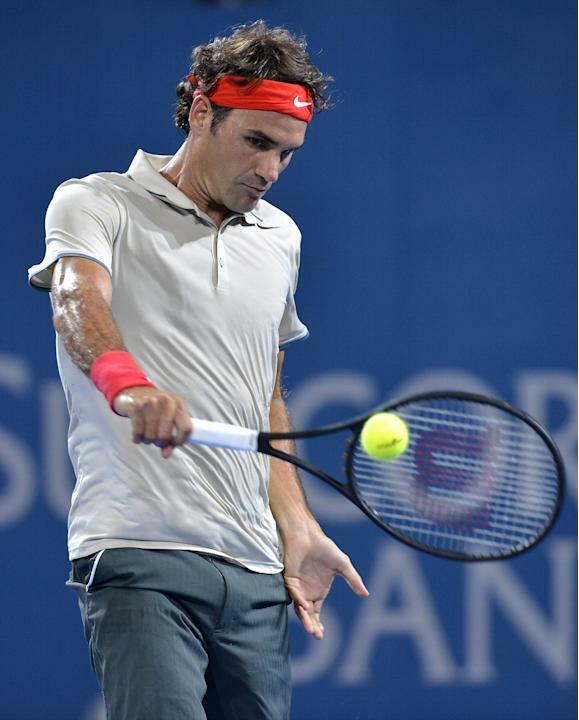 This was Roger Federer's 6th match with this bigger Wilson 98 Prototype 98 & was his 4th win. Of all those 6 matches, he has never looked so comfortable, so confident as he looked today. 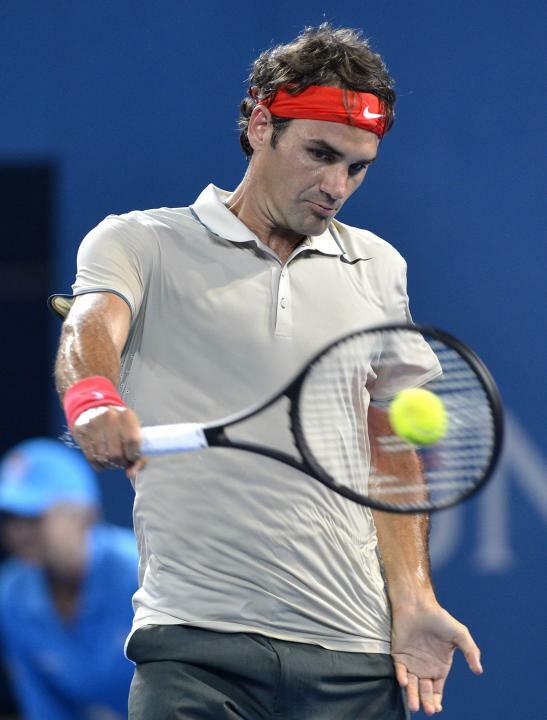 Roger Federer started in splendid fashion as his ground strokes looked penetrative. 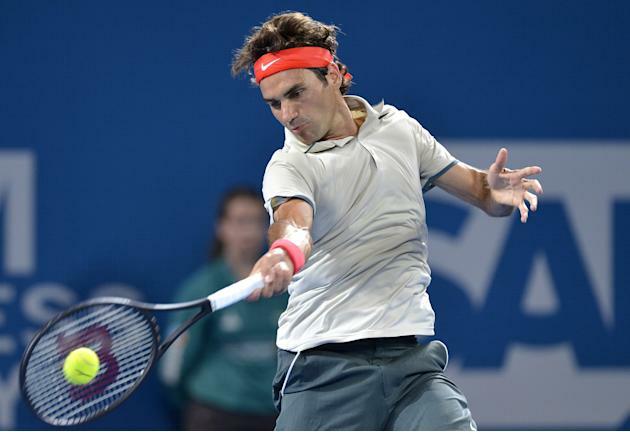 Federer got the 1st break on his very 1st break point in the 5th game. 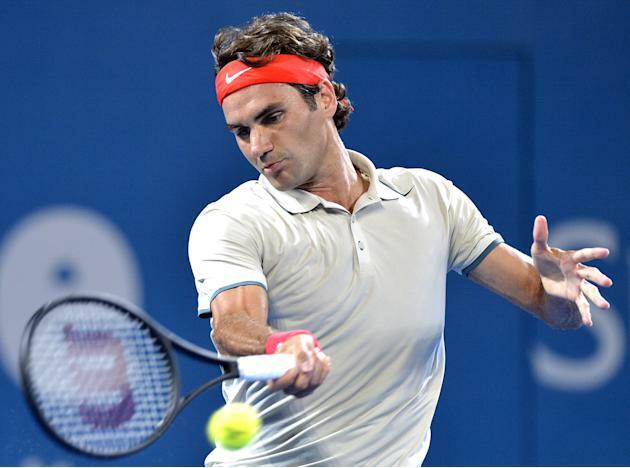 Nieminen had a break point the very next game, but Federer managed to save it to make it 4-2. 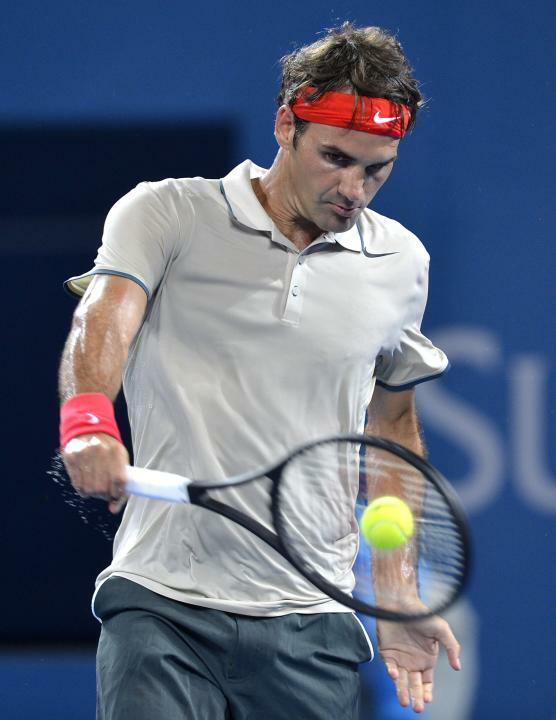 The next 4 games went on serve as Federer served out the set 6-4 in 37 mins. Federer got off to a great start in the 2nd set. He broke the 32 year old Nieminen in the very first game of 2nd set. This is 454th time in 1139 matches that Roger Federer has managed to break his opponents service in the opening service game of 2nd set. 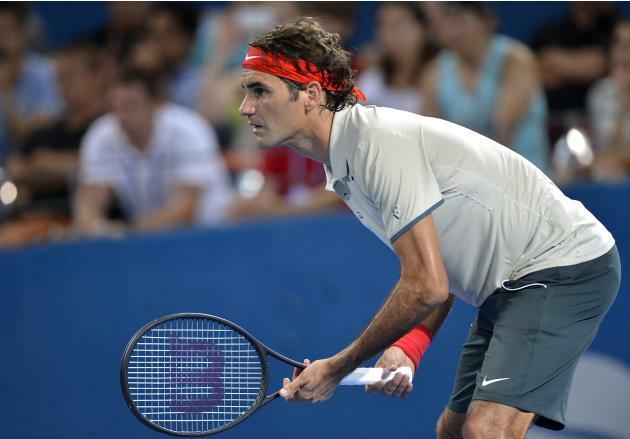 Federer then broke again in the 3rd game to get to a 3-0 lead. Nieminen had 3 break points in the next game but Federer managed to save it to make it 4-0. 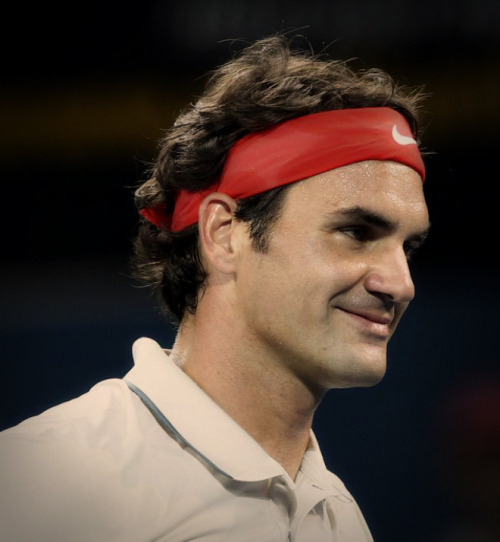 The next 3 games went on serve as Federer served out the 2nd set & the match in 8th game. 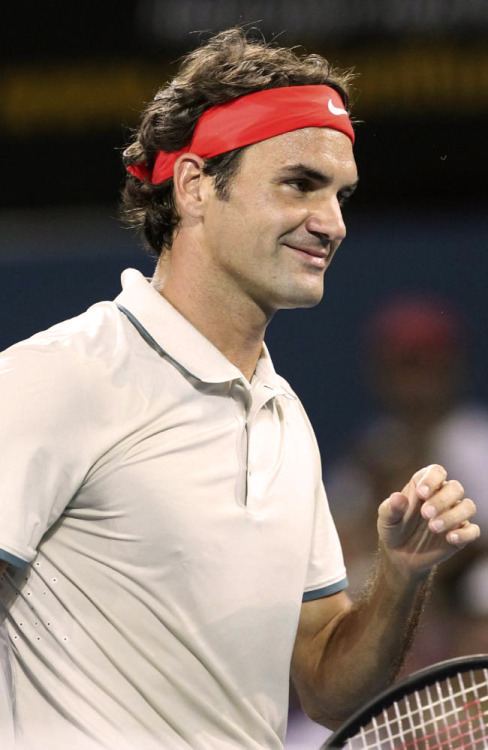 The second set lasted 31 minutes as Federer won the set 6-2 & the match 6-4, 6-2 in 68 minutes. RF's stats on the left. Roger Federer will play his Quarter-final match on Friday vs the Aussie Marinko Matosevic while in the doubles, his 2nd round match is scheduled on Thursday. Scroll down for more pics, interview quotes, video highlights & recording from the match. Here is the video of the post match Press Conference, released by Brisbane International Tennis. Thanks Milk8812 for recording the match . I was surprised when I saw these stats that Roger's first serve percentage wasn't higher. The overall impression of his performance was so good I thought it would have been. Great pictures and match reports. Thanks to all, especially Wendy for the interview. 2014 is starting to look very bright. Well okay. But I was looking for it - and you found it! Missed the match and great interview/photos. Txs for coverage. He looks wonderfully good and fit. Such a pleasure just to watch his style of playing. The win should bois this morale and confidence for 2014.